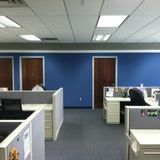 Looking for an experienced Painter in Flint, Michigan? Finding it difficult to find qualified painters near you? You’ve come to the right place. MeetAPainter.com has a comprehensive directory of talented and experienced Flint painters for hire. 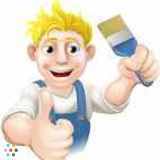 MeetAPainter.com is filled with dependable Flint exterior painting and interior painting specialists. Flint exterior painters who understand how to paint on different surfaces. Skilled painters who can remove old paint from your home without causing damage. Professionals, who know how to paint houses, fences, walkways, garages and driveways. Our Flint interior painting specialists are professional painters who can paint rooms, ceilings, walls, furniture, and many will be able to help you bring your creative and artistic vision to life. 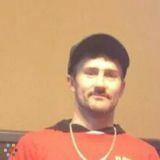 MeetAPainter.com is the fastest and easiest way to access the largest number of Flint painters and contractors looking for work. With MeetAPainter.com, you can connect directly with thousands of qualified painters offering home and commercial painting, interior and exterior painting, detail painting, staining and more. With everything you need in one place, there’s no better way to find painters in Flint, Michigan than with MeetAPainter.com. Let MeetAPainter.com help you find the best painters Flint, Michigan has to offer. Get started today! I know how to mud/patch, caulk, cut in, roll walls. Paint trim, doors, celings, and stair cases. I'm looking for realiable work consistency.I know how to mud/patch, caulk, cut in, roll walls. Paint trim, doors, celings, and stair cases. I'm looking for realiable work consistency.I know how to mud/patch, caulk, cut in, roll walls. Paint trim, doors, celings, and stair cases. I'm looking for realiable work consistency. Need work!Need work!Need work!Need work! My names joe I've been painting for 5 years now. Looking for steady work and possibly even side jobs. No job to big or to small! !My names joe I've been painting for 5 years now. Looking for steady work and possibly even side jobs. No job to big or to small! !My names joe I've been painting for 5 years now. Looking for steady work and possibly even side jobs. No job to big or to small!! Make Things Go POP!Make Things Go POP!Make Things Go POP!Make Things Go POP!